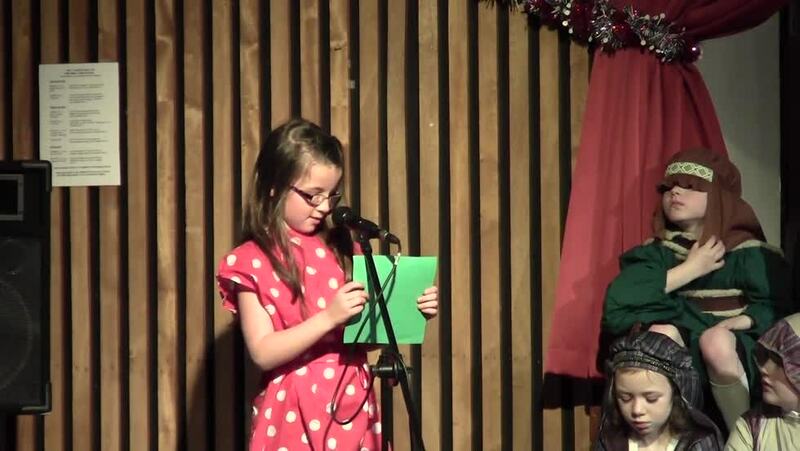 We have a strong musical / dramatic tradition in the school and each year at Christmas and at the end of the summer term the children present a school concert, play or musical. We consider that the importance of making music and enjoying listening to music cannot be over-emphasised as these skills greatly enrich life for everyone. The Key Stage I Nativity Play is a highlight of the year for parents and families (Santa usually makes an entrance too). 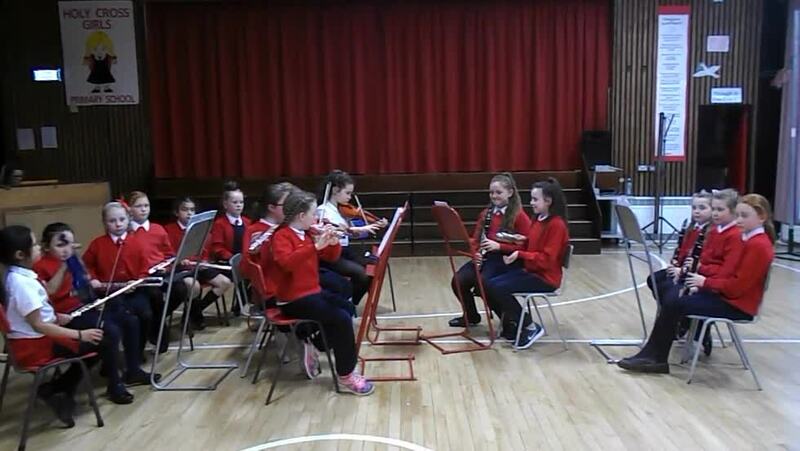 Children from P4 - P7 are taught to play the recorder/tin whistle and percussion instruments. A music tutor from the School of Music comes on a weekly basis to teach flute, clarinet and violin. 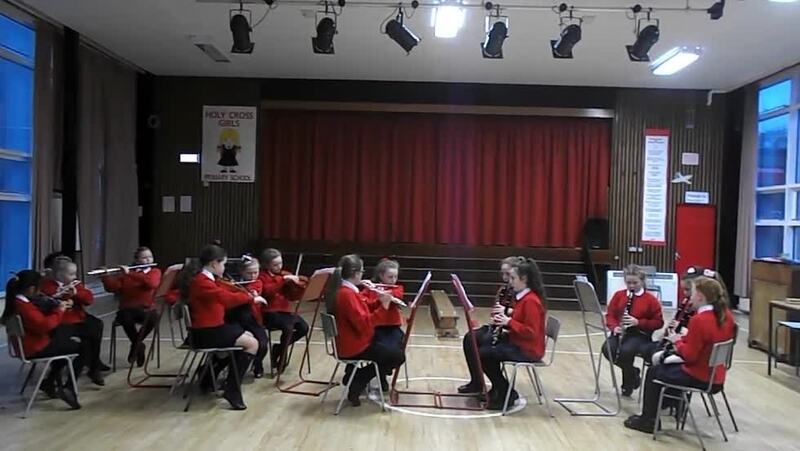 At the end of each year the Primary 7 instrumentalists are entered for Grade Examinations with 100% success. The school choir performs in a number of productions and events. They help to entertain the elderly at Christmas at our local Bradley Manor Care Home and recently were finalists in the Dementia NI Awards for the work done with the elderly residents. They also sing in a variety of shopping centres to raise money for charity. Art & Design has an important part to play in the development of each child. It permeates all areas of the curriculum and we are proud of our displays of children’s work throughout the school. We hope to develop the child’s creativity, imagination and appreciation of beauty and good design and skills of self expression using various media. We also aim to develop her self confidence and sense of achievement. Children's work is widely displayed around the school. Drawing, painting, model making, weaving, sewing, clay work and papier-mache are but a few of the techniques and skills explored as well as looking at artists and painting styles.The afterschool sewing club helps to develop the children's sewing skills as well as their confidence and self esteem as they participate in the Holy Cross Fashion Show when they can show off their creations. 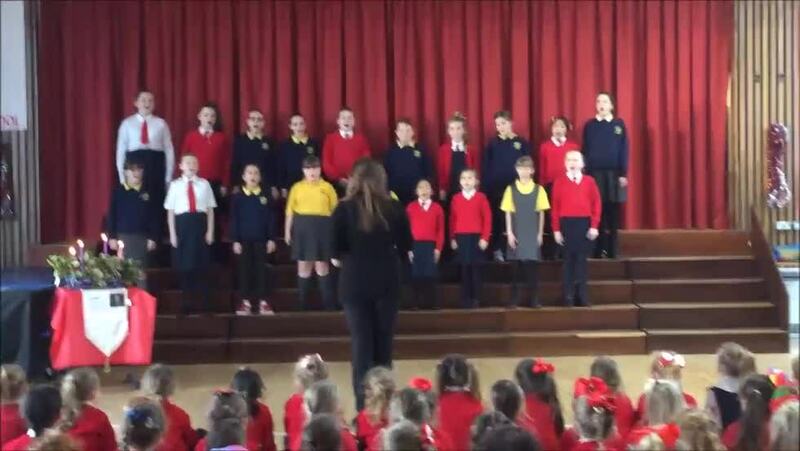 Each year the school choir enters the FISCA cross community choir competition with Wheatfield Primary School. Together we hold the Foley Award for the Most Promising Junior Choir and are regular participants with the Ulster Orchestra in the FISCA concerts in Holy Cross Church.